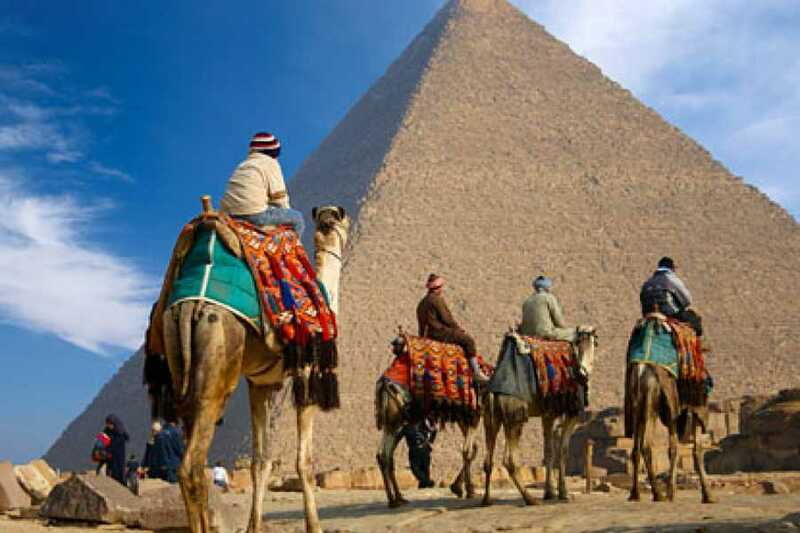 As Per Requested time Arrival to Cairo airport, our representative will meet you in the airport then you will be transferred by a private A/C car to your hotel. Overnight in Cairo. Around 11:00 am Start your half day visiting the Egyptian Museum of antiquities. On display is a rare collection of 5000 years of art the largest most precious collection of Egyptian art in the world. Over 250,000 genuine artifacts are presented, including an exhibit dedicated to the Tutankhamen collection of treasures, gold, and jewelry, as it was enclosed in his tomb for over 3,500 years before it was discovered in the 1920s when his tomb was excavated. Breakfast. 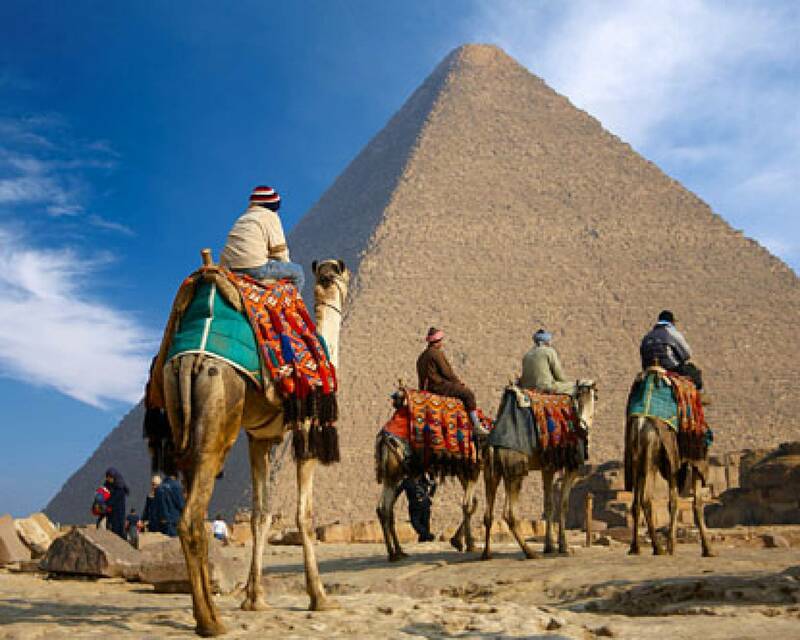 Start your full day visiting The Great Pyramids - Cheops, Chephren & Mykerions. Cheops is the most colossal ever built. Next is a close-up look at the sphinx - a huge funeral complex guarded by the legendary lion body with the face of king Chephren. Then visit the Step pyramid in Sakkara (Visit Sakkara & Memphis), See the earliest monumental stone tractor in Egypt, a stepped pyramid built for King Zoser (c. 2650 BC). Then visit the cemetery for Memphis, used continuously for 3,000 years. See the earliest monumental stone tractor in Egypt, a stepped pyramid built for King Zoser (c. 2650 BC). around 7:30 am start your Full Day Tour to West Bank visiting Valley of Kings-Deir El Bahari Temple-Colossi of Memnon and the Temple of Queen Hatshepsut.Excursion to the Necropolis of Thebes, on the Eastern bank. Crossing the Nile, drive to the Valley of Kings; visit the tombs of various Dynasties, The Temple of Deir El Bahari. On the return journey stop atthe Colossi of Memnon which are two gigantic sitting statues representing Amenophis III facing the Nile. Visit the Temple of Queen Hatshepsut. Then visiting East Bank visiting Karnak and Luxor Temple Excursion to the Luxor Temple to see its courtyard and the granite statues of Ramses the Great Proceed bycarriage or bus to Karnak, which is a serious of temples, built indifferent reigns. Starting by the Avenue of Sphinxes visit the Unfinished Propylon, the Hypo style Hall with it's 134 gigantic columns, the Obelisks of Queen Hatshepsut and Tutomosis III, the temple of Amon adorned with lotus and papyrus designs, the Granite Scarbeus of Amenophis III and the Sacred Lake.